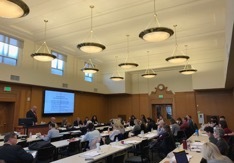 The Idaho Press Club recently partnered with Attorneys for Civic Education, the University of Idaho College of Law, the Idaho Supreme Court, and the U.S. District Court to put on a journalists’ institute on covering the courts – and it was both well-attended and highly successful. The one-day conference held at the Idaho Law & Justice Learning Center drew more than two dozen attendees from across the state, including TV and print reporters and editors from Moscow, Lewiston, Idaho Falls, Pocatello, Boise and Nampa and journalism students from the U of I, Boise State and Idaho State University. Presenters ranged from U.S. District Judge Lynn Winmill to Idaho Supreme Court Chief Justice Roger Burdick to myself and Melissa Davlin, with a whole lot of luminaries on the list. There was lively discussion, an interesting reporting exercise, and a lot of excellent information on the rule of law, why it matters for it to be reflected in our coverage of the courts, and how to do this important job in a way that works for us in our everyday journalism world and for our readers today. If you’re interested in possibly attending the institute next year, please shoot me an email. I already have several names. It got nothing but rave reviews, and I can’t recommend it highly enough. There is no cost to attend, thanks to a grant from the federal courts to Attorneys for Civic Education, and small travel stipends are available to help out-of-town reporters get to Boise. In other recent Idaho Press Club news, our Yellow Card on the Idaho Open Meeting Law and Purple Card on Media Access to the Courts have now been updated and reprinted, thanks to generous support from Scott McIntosh and the Idaho Press-Tribune. Our first printing run wasn’t huge but look forward to getting your copy of these handy, wallet-sized cards over the coming year. We’ve had strong interest in our Don Watkins Memorial Scholarship for an Idaho college journalism student this year, and look forward to recognizing the winner at our annual awards banquet, which is set for April 28, 2018, in the fabulous new wing of the downtown Boise Centre on the Grove; don’t forget to get your tickets and come out to celebrate the best of Idaho journalism with us! More info will be out soon on this year’s banquet plans. Our First Amendment Committee, under the able chairmanship of Melissa Davlin, is closely watching legislation affecting public records and open meetings this session, and has had some notable small successes along the way; we’ll have a full report when it’s all final. Also, your Idaho Press Club board has voted unanimously to sign onto an amicus brief in an important press freedom case that’s pending in Idaho, Verity v. USA Today et al. Our own Press Club board member, Deb Kristensen, is the attorney for USA Today, KTVB and KGW in this significant case. Our Southwest Chapter hosted a successful “Headliner” breakfast with Gov. Butch Otter at Beside Bardenay in Boise on Feb. 15, where the governor, after brief remarks, took questions on-the-record from the press. It’s been an annual event for Gov. Otter throughout his three terms, and this was his final appearance; it was an interesting and newsmaking session that also featured a delicious breakfast. SW Chapter President Audrey Dutton reports that a Headliner luncheon, also featuring on-the-record Q-and-A, is scheduled with top legislative leaders on March 13, also at Beside Bardenay. We had strong entries for our Best of 2017 excellence in journalism contest this year, with well over 800 entries, beating last year’s mark. We’re so glad we get to help recognize your good work – see you at the awards banquet in April! 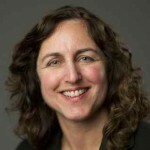 Betsy Russell is a Boise-based reporter for The Spokesman-Review, and is the president of the Idaho Press Club.